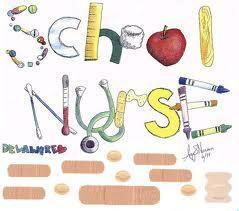 The school health nurse will provide routine medical care to student at Elkins School. 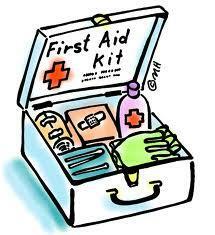 He/She will also provide emergency care for students injured at school. If an accident indicated the need for medical care, a parent will be contacted and asked to take the child to a family physician. In extreme emergencies, the school principal or a school employee will call 9-1-1 and have the child transported to the nearest emergency room or clinic. 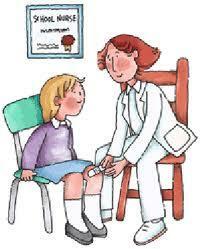 A qualified staff member will provide first aid care, if necessary, in the absence of the school nurse. To help decrease the spread of infections in our school, please do not sent your child to school if he/she has diarrhea, vomiting, or has a temperature of 100 degrees F or greater. If your child comes to school under these circumstances, the school nurse will contact you and your child will be sent home. What if your child needs prescription medication while at school? A parent or guardian has filled out and signed a Medication Administration Release form for each medication to be given. Forms are available at each school. What if my student needs an over the counter medication at school? There is a supply of OTC meds kept in each office. With students K-2 parents will be called any time OTC medication is required for permission to administer. Students 3-12 will be given an OTC medication form at the beginning of the school year for the parent to sign and return. Medications will be given according to the parent permission. What are the state immunization requirements? POLIO - Four doses are required with the last dose being after the 4th birthday. DTP/DTaP/Tdap - Four doses are required for Kindergarteners with the last dose being after the 1st birthday. Three doses are required for students in Grades 1-12 with the last dose being after the 1st birthday. Students entering 7th grade are required to have a Tdap, if applicable. MEASLES - Two doses are required with the first dose being after the 1st birthday, and the second dose administered at least 28 days after the first dose. RUBELLA - One dose is required after the 1st birthday. MUMPS - One dose is required after the 1st birthday. MEASLES, RUBELLA AND MUMPS - Two doses called MMR are required with the first dose being after the 1st birthday, and the second dose administered at least 28 days after the first dose. VARICELLA - Two doses are required for Kindergarteners with one dose on or after the 1st birthday, and the second dose administered 28 days after the first dose. One dose is required for students in Grades 1-12 on or after the 1st birthday. A parent/guardian or physician history of disease may be given in lieu of vaccine. What if your child needs an asthma inhaler or an epi pen? Students in grades K-6 will keep their inhalers in the nurse’s office to use when needed. Students 7-12 can carry inhalers with them with a doctor’s prescription. Due to the safety of all students they are not allowed to transport medications on the bus. A parent has to drop them off and pick them up.